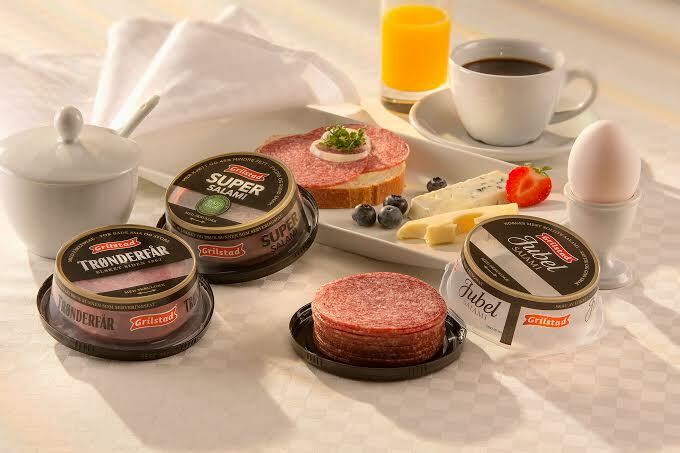 Salami manufacturer Norwegian Grilstad has met consumer demand for an exciting new packaging format using the acclaimed SuperLock® from RPC Superfos. A survey run on behalf of Grilstad showed clearly that Norwegian consumers were not satisfied with the available packaging for sliced salami and would prefer a twist-off, screw-on lid to replace the traditional tear-open flexible pack. The results were so clear that Grilstad decided to act immediately, with the goal of being the first on the market with this type of salami packaging. The company worked closely with RPC Superfos and came up with the idea of also using the pot upside down so that the lid acts as a serving dish – an innovation which further enhances ease of use. It can then be resealed easily, minimising food waste. Development Manager at Grilstad, Terje Sørnes, explains: “We chose the SuperLock pot because it is the only solution on the market offering three desirable qualities all in one: an oxygen barrier, decoration with In-Mould Labelling and a twist-off screw-on lid. Grilstad reports good sales since the 1 September launch for all three of its varieties; Jubelsalami, Supersalami and Trønderfår in 120g and 150g variants. In addition, the new approach to sliced salami has generated substantial media excitement: “The attention that we got from the media was overwhelming. Thanks to the packaging, we received a great deal of coverage in major newspapers and news websites.